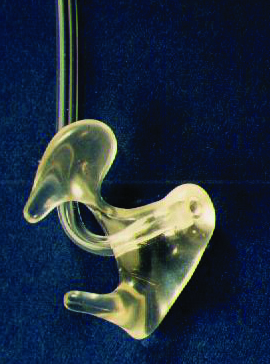 A comfortable, custom made earmold is extremely important in the successful fitting of both hearing protection and hearing instruments. 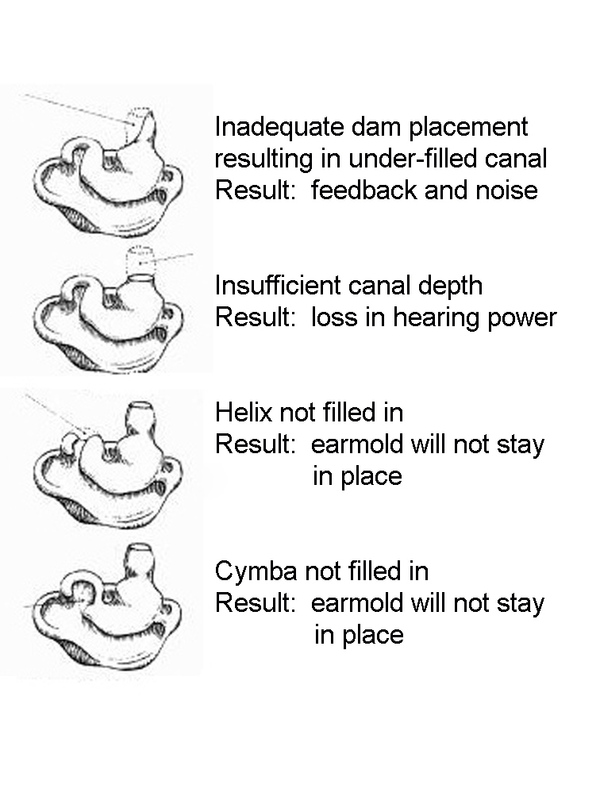 The earmold is a duplicate of the ear impression you send us ~ please take full and complete impressions, with sufficient canal depth. We do our best to work with all impressions. 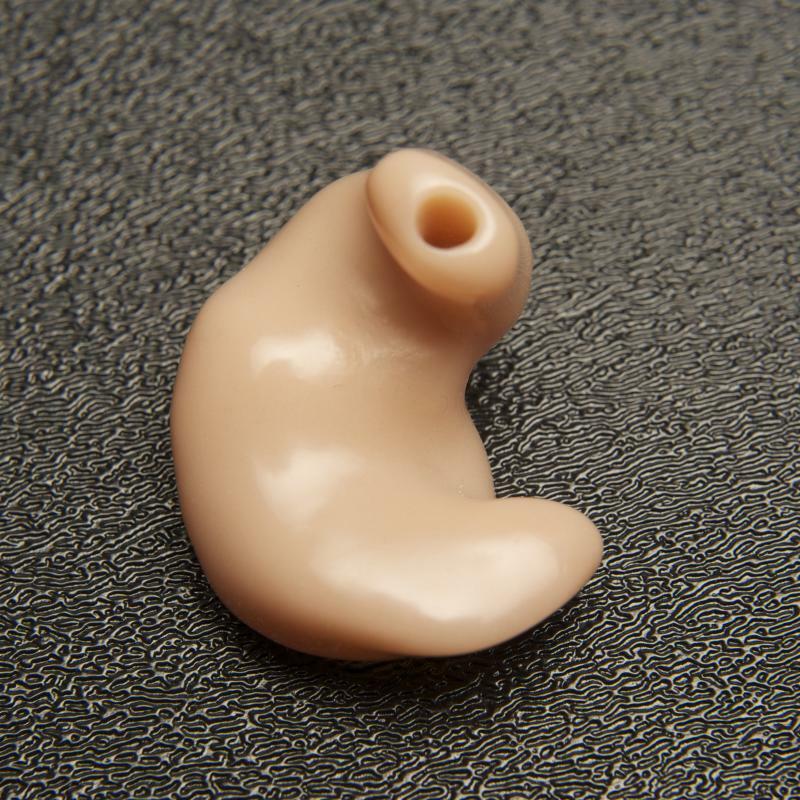 However, complete and full impressions are required at Hocks Hearing Healthcare Products to guarantee fit and comfort for all custom made earpieces. Please look each impression over carefully. If an impression does not meet the above criteria, please take another impression. 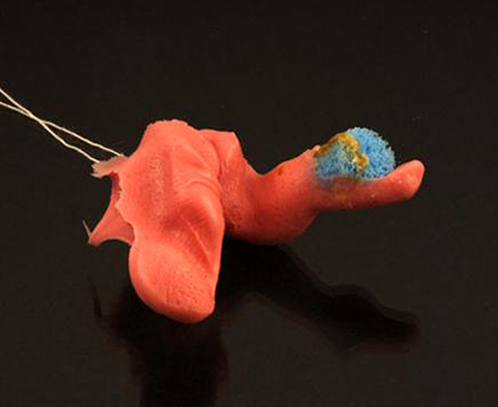 Note any abnormalities in the impression, that are natural for your patient, on your order form. Free remake up to 30 days from the date the original mold was invoiced. From 30 to 90 days, the cost of the remake is half the original charge. After 90 days ~ full charge for remakes. Note: A free remake must be the same style as the original order. A changed style is not a remake, it is a new order. What Kind Of Impression Do YOU Make? 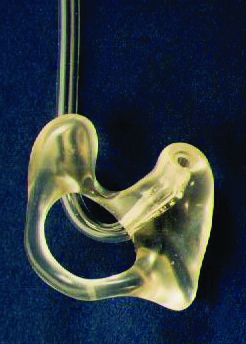 This is the most popular mold when the receiver is worn directly in the ear. 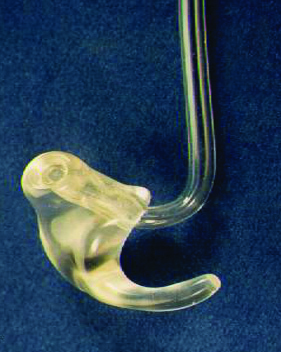 Made of clear lucite, this mold offers sturdiness, excellent conduction, high retention, and maximum comfort with a minimum of bulk. Sometimes called a "ring", this popular style of invisible mold is lightweight and features concealment, control, and excellent retention. 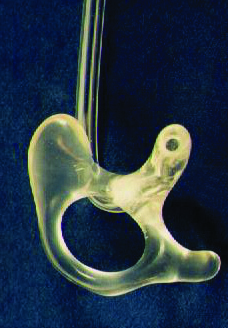 The 3/4 Silhouette is much the same as a Silhouette, but with a portion of the back ring removed. 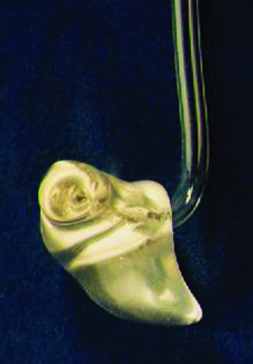 This provides additional concealment and comfort if the ear is tender or comprised of hard cartilage. The 1/2 Silhouette is the same design as the Silhouette, but with a portion of the back ring, or anti-helix, removed, providing additional concealment and comfort. 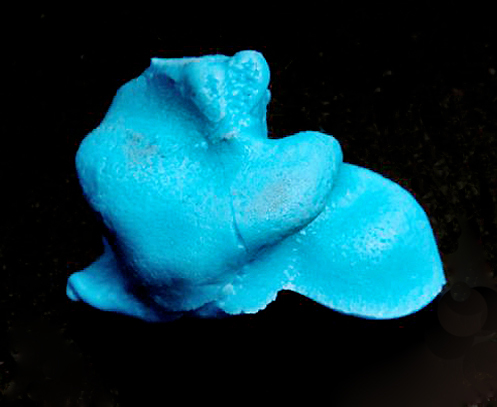 This popular mold consists of the canal and lower portion of the concha rim for retention. The impression must be long and full with sufficient undercuts for retention. 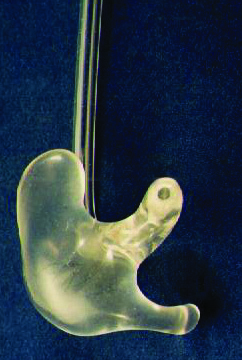 The Cross-Over Silhouette is designed as a normal skeleton, with the exception of a non-occluding opening where the entire canal is reduced in size to slightly larger than the tubing. 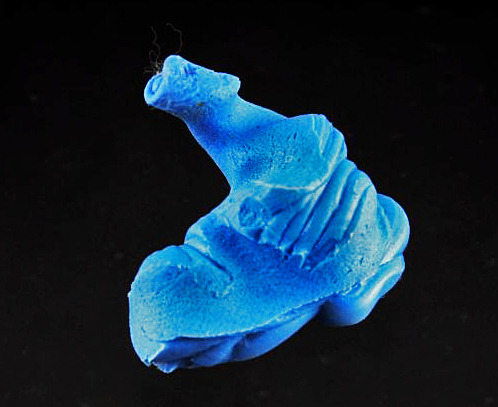 It is used in the most severe nerve cases, where it is desirous to get the greatest of high frequencies and the minimum amount of low frequencies. 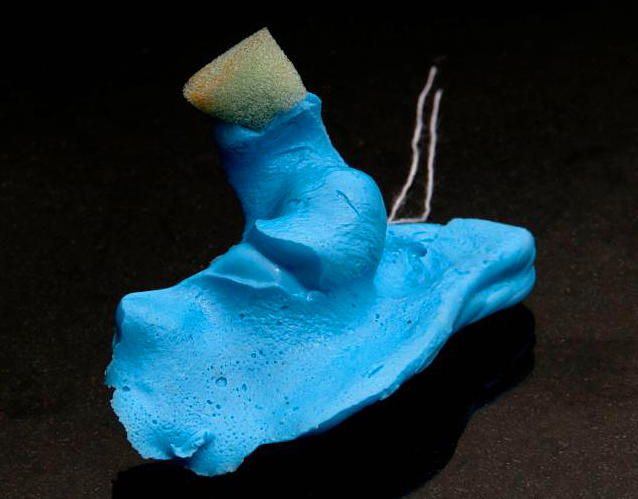 The Phantom is designed to provide an invisible mold with maximum strength and comfort. 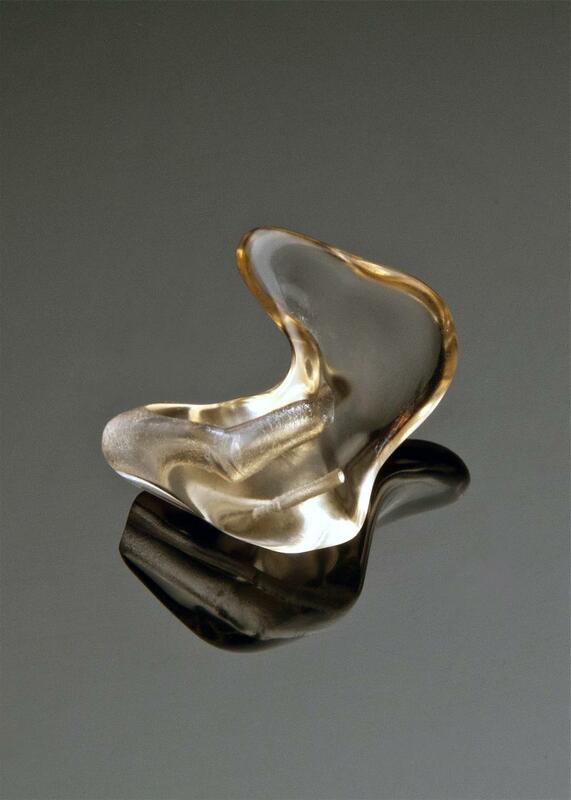 This shell-shaped mold is recommended for those who require durability, but want concealment. 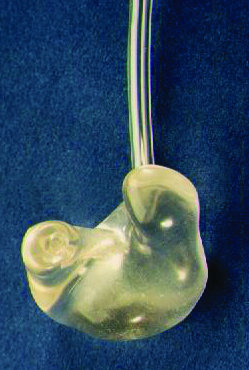 This mold is the same as the Phantom, except the canal portion has been reduced to a diameter slightly larger than the tubing. 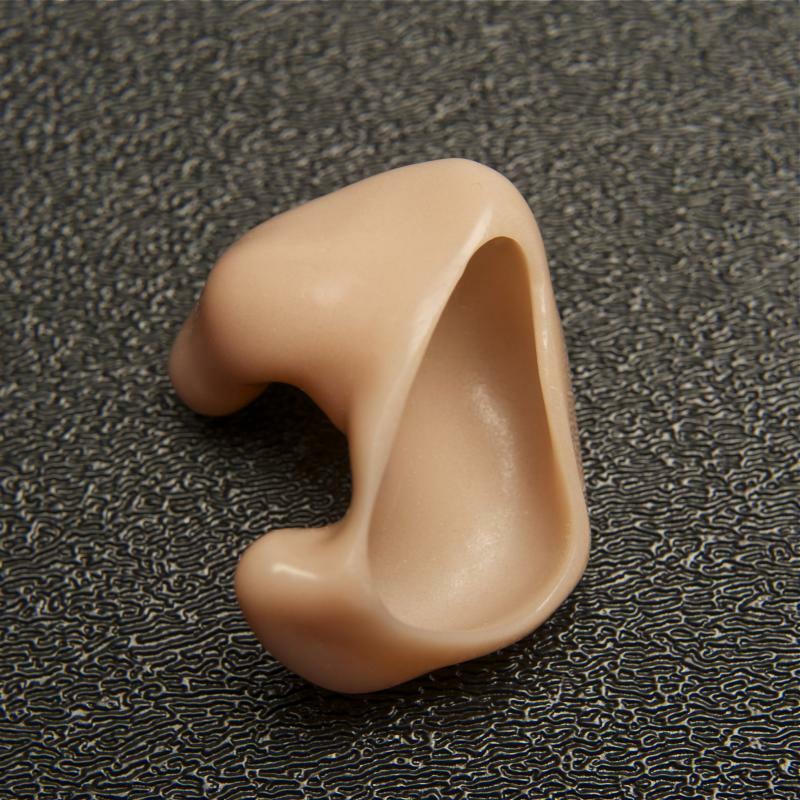 This provides an opening to "drain off" the lows and may be worn when a person has a hearing loss in one ear and near normal hearing in the other. Excellent concealment and customer satisfaction is achieved with this inconspicuous design. 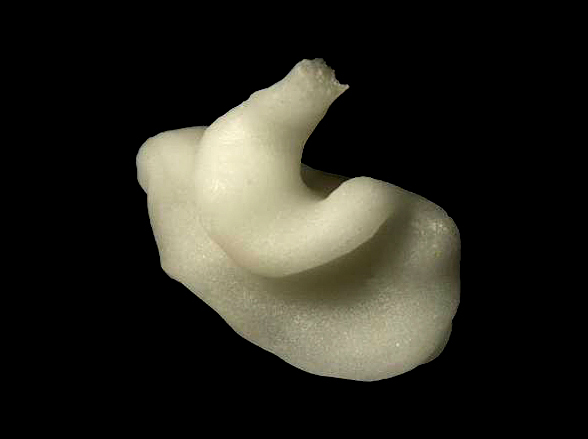 The impression of the ear canal must be long and full, with sufficient undercuts for retention.